See You TOMORROW! End-of-year BOOK LAUNCH! Our final meeting of the year will take place TOMORROW at 3pm at our Member Book Launch! Here is information on the event and links to purchase all the books! Say you are coming on Facebook HERE! Please bring a friend! Plan to come a little early to find parking… and stay after for another book event and/or some socializing! Join us in welcoming The California Writers Club to Laurel Book Store! The California Writers Club was started by a group of writing professionals in the early 1900s. They met informally until 1909, when the Club was founded, with Austin Lewis as its first president. The Berkeley Branch is the founding branch of the statewide Club, which now has 19 branches and around 2000 members throughout California. We are the third oldest writers’ club in the country, currently celebrating our 100th year serving Bay Area writers. The CWC is a nonprofit professional organization open to writers in every genre and at every level of experience, from novice to published. Our purpose is to promote fellowship and to provide practical information that supports all members in achieving their publishing goals. The Berkeley Branch is the founding branch of the CWC, and we serve all of Alameda County. 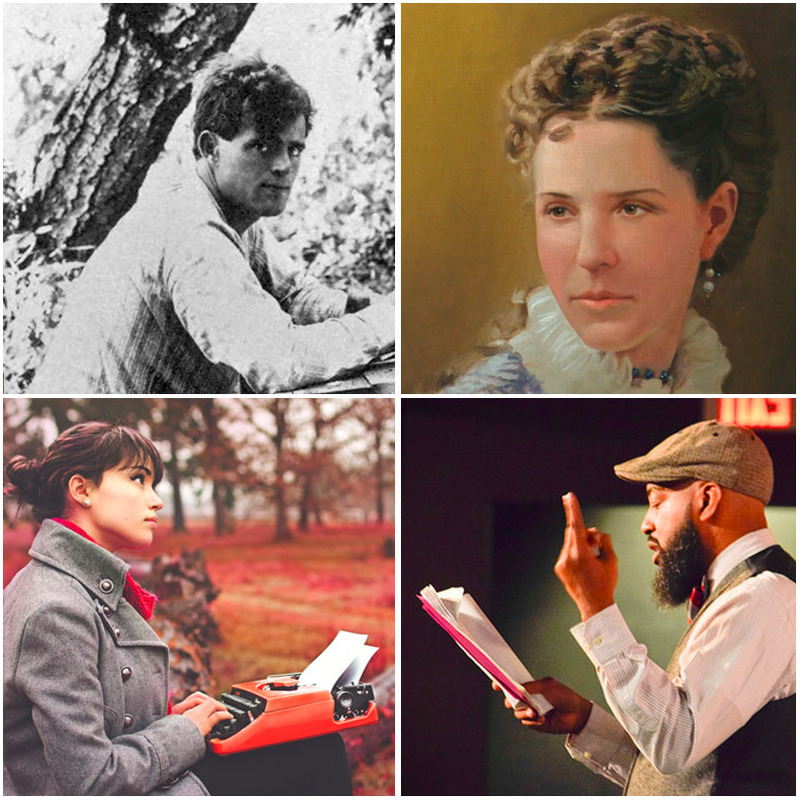 Our members enjoy being part of a rich history of Bay Area literature, tracing our club’s roots back to Jack London, Joaquin Miller, Bret Harte and Ina Coolbrith, authors who have left their mark on our local landscape. between San Pablo and Clay is FREE! Have a great summer… see you next SEPTEMBER as we start our 2018-2019 speaker series! No one knows the book biz like the people who handle books every day. Come and hear what local bookstore owners have to say about their life behind the counter, in the stacks, reading the industry rags and catalogs catalogs catalogs. How does YOUR book fit in to the bookstore universe? Bring questions and be prepared to take lots of notes! 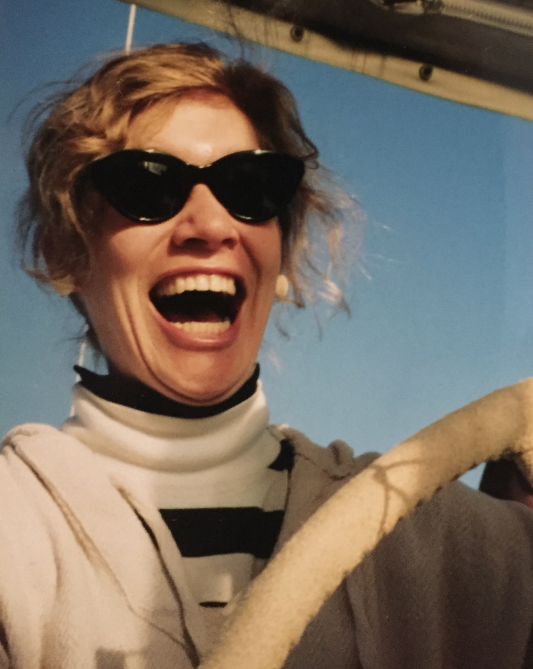 Now here’s President Kristen’s column from this month’s newsletter…. 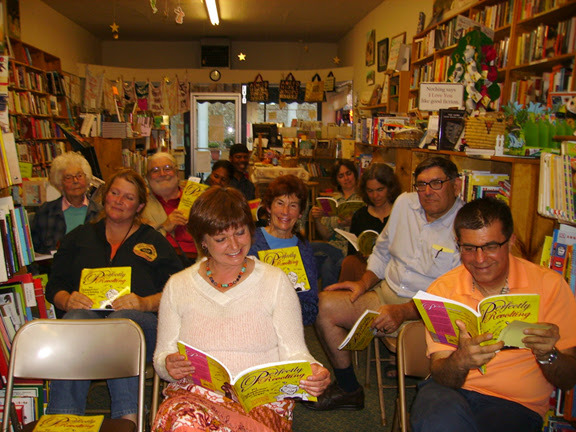 One of my happiest moments as a writer was my first book launch at Laurel Bookstore. There were so many lumps and bumps to the process, but Luan was so encouraging. “Fun will not be denied,” she declared! I learned so much from her, and continue to learn. Now you can, too! Instead of having one speaker at our March 18th meeting, we’ll have three local bookstore owners. Our speaker chair, Kymberlie Ingalls, will be moderating a conversation between Luan Stauss of Laurel Bookstore, Kathleen Caldwell of A Great Good Place for Books, and Bob Fisher of Walden Pond. All of these beloved business leaders are incredibly supportive of local authors! We’ll be talking about their roles as bookstore owners/buyers, and their relationship with authors. They will offer tips and advice for writers who wish to cultivate a relationship with a bookstore, how they deal with Amazon authors, and much more. Then mark your calendars for Saturday, June 16th, when all of our club authors will celebrate recently published titles at our end-of-year party at Laurel Bookstore! Between now and then, we will continue to grow our club in leaps and bounds. (Did you know we started the year with 60 members and now have 90?) It’s time to select the new leaders who will help our branch work smoothly and happily next year. What are your skills and how can they help the club? What would you like to learn? Hosting events? Talking to people? Are you any good at writing? There are lots of jobs for that! Contact Nomination Committee chair Christine Volker for information. 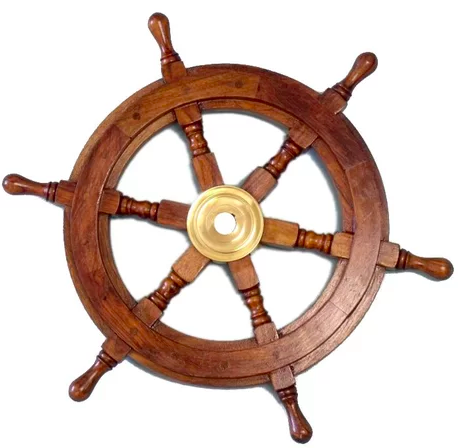 Kristen at the Helm… hang on!